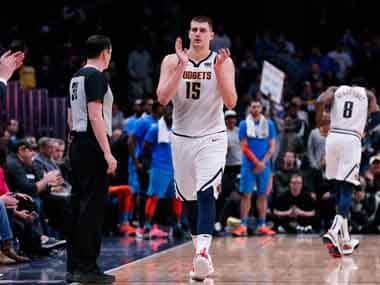 New York: Nikola Jokic scored 36 points as the Denver Nuggets held off a furious late onslaught to defeat the Oklahoma City Thunder 121-112 on Tuesday. Towering Serbian international Jokic also weighed in with 10 assists and pulled down nine rebounds to crown a superb all-round display at the Pepsi Center. 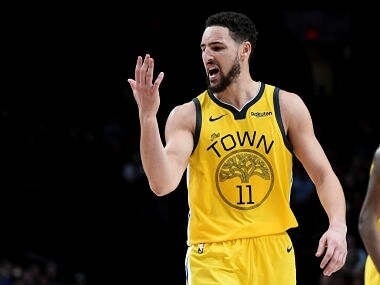 The win saw the Nuggets close the gap on Western Conference leaders Golden State. Denver are now second with 42 wins and 18 losses, half a game back from the Warriors. The Thunder meanwhile remain in third place overall in the West with 38 wins and 22 losses after their fourth-quarter rally came up just short. The visitors had looked to be heading for a blowout loss after three quarters, with Denver surging into a 91-78 lead heading into the fourth. 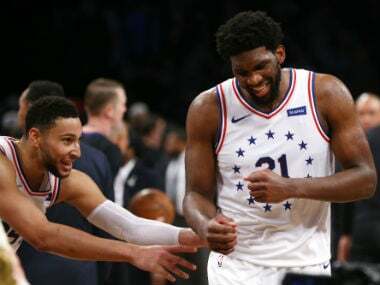 But a 26-6 run midway through the fourth quarter reignited their challenge, with a Russell Westbrook three-pointer handing them a 100-97 lead with just over six minutes remaining. 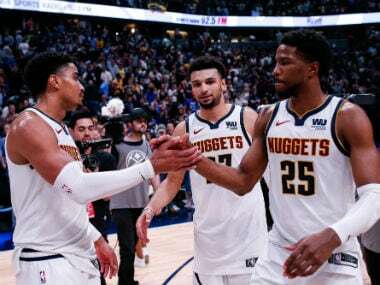 Denver, however, came roaring back with a big finish of their own, stitching together a 24-12 run to close out the game and claim their fifth straight victory over OKC. Will Barton (23 points) and Jamal Murray (20) were the other main Denver scorers. OKC saw Westbrook fall just shy a triple-double, finishing with 22 points, 14 rebounds and nine assists. Paul George led the scoring for Oklahoma City with 25 points. Celtics 'all over the place' Elsewhere Tuesday, Pascal Siakam and Kawhi Leonard led the way as the Toronto Raptors kept up the pressure on Eastern Conference leaders Milwaukee with a 118-95 rout of the Boston Celtics. 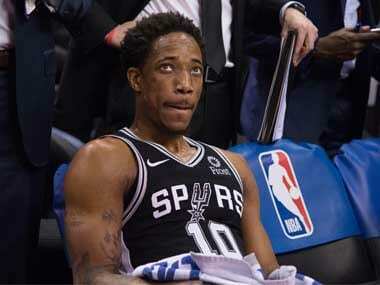 Cameroonian ace Siakam scored 25 points while Leonard added 21 to help Toronto improve to 45-17 in the East, leaving them two games back from the Bucks. Serge Ibaka added 14 points for the Raptors, while Norman Powell chipped in with 11 from the bench. But it was another disappointing night for the Celtics, who slid to their third straight defeat as Toronto contained their offence. Boston star Kyrie Irving was held to seven points during a frustrating outing at Toronto's Scotiabank Arena. Marcus Morris led the scoring for Boston with 17 points while Jayson Tatum added 11. Celtics coach Brad Stevens blamed the defeat on his side's defensive lapses as well as an inability to generate offense. "It was the same old same old. Obviously we struggled to score in stretches. But I thought we were all over the place defensively tonight. And when I say all over the place, we were really taking a lot of short cuts defensively. You can't do that against any team, and certainly tonight they exposed us, and played great," Stevens said. "I thought we were just outplayed every which way," he added. The Celtics are in fifth spot in the standings with 37 wins and 24 losses. The visitors had led 34-30 early in the second quarter, but were soon overwhelmed by a blizzard of Raptors scoring. The hosts drained 18 unanswered points in the second period to take a firm grip on the contest with a 14-point lead. The Raptors surged a full 31 points clear at one stage in the third quarter, and were never fewer than 11 points ahead after their burst of scoring in the second period. "We just weren't together. Not together at all. That's it. Last couple of years we were together. I'm sure we're going to figure it out. But right now it's slower than expected," Celtics guard Marcus Smart.